The Country Chic Cottage is all about DIY home decor on a budget! Follow me as I craft, transform, and knock off the latest trends! Full of tutorials so you can do it yourself in your home! All with a country farmhouse feel! When I am not on my blog you can find me at The Home Depot, Pottery Barn, Hobby Lobby, or the thrift store scouting my latest project! Yes I have more ideas today for my daughter’s wedding! Today we are going to talk about how to make DIY wedding fans. When your daughter picks a July wedding date for an outdoor ceremony…in July…..in Tennesse…..you need to come up with something! I thought why not give everyone their own fan to at least move the air around. I came up with these quick and easy DIY wedding fans. This post is sponsored by Online Labels however all projects and opinions are my own. Some links may be affiliate links which means a portion of your purchase will go to support this site however you will not pay any more. 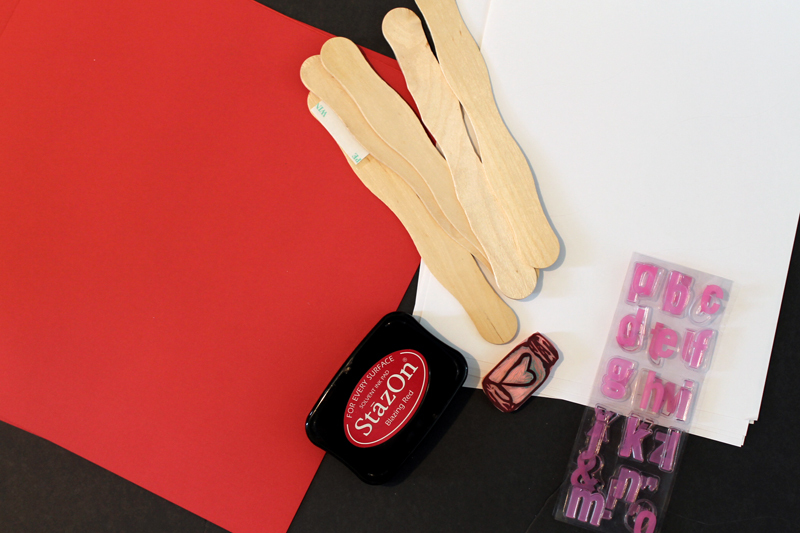 Cut the card stock into 6 x 6 squares with your paper cutter. 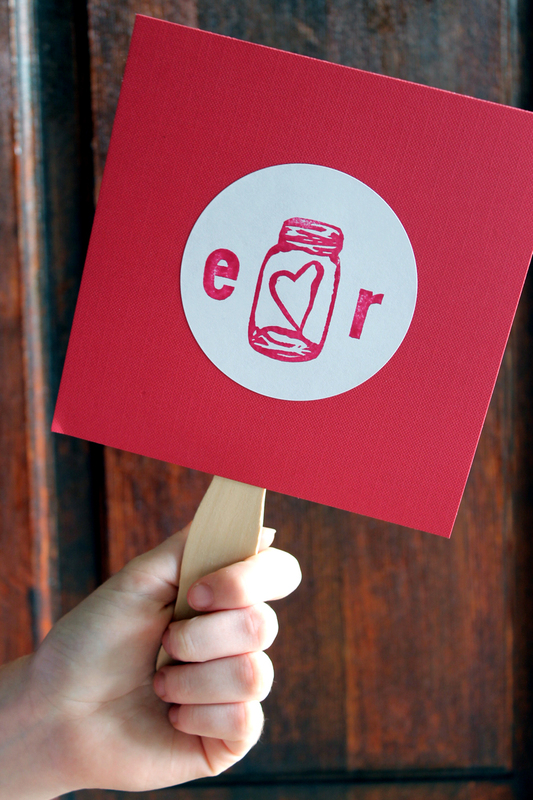 Stamp the labels with the initials of the couple plus a mason jar or other heart in the center. 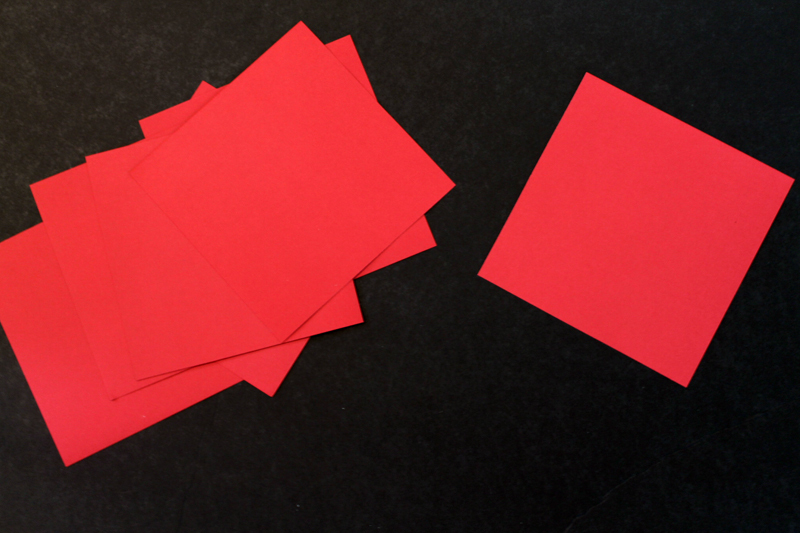 Peel and stick the labels to the center of the card stock squares. 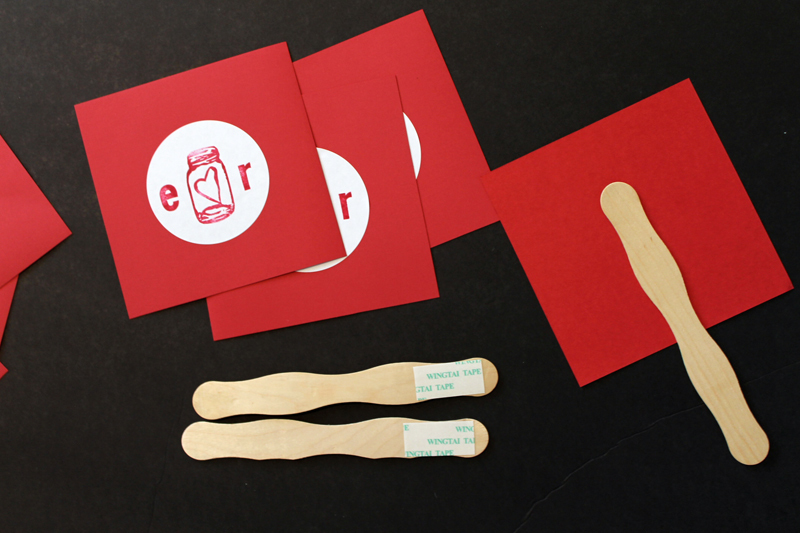 Flip them over and peel and stick the fan handles to the back. The adhesive on the fan handles is really strong and will last throughout the wedding. 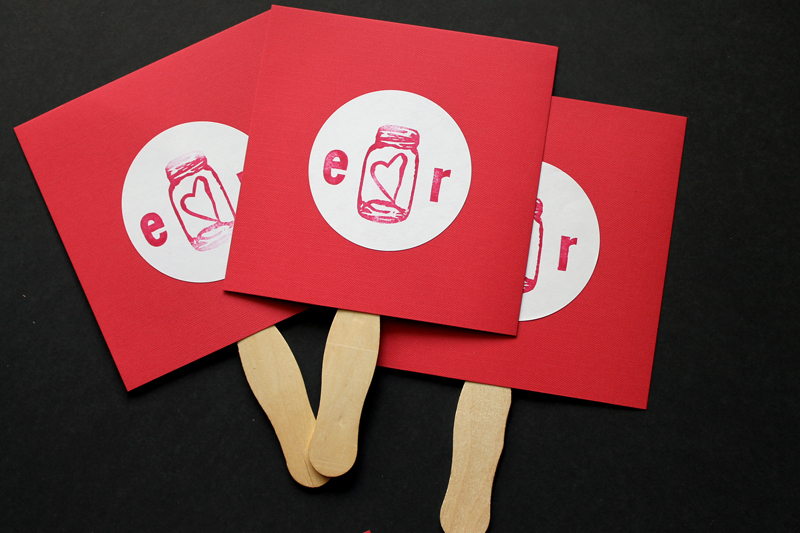 Your DIY wedding fans are complete and ready for your summer wedding ceremony. These are really quick and easy to make. You can whip up 200 or so in an hour. Create an assembly line with some helpers and knock this off of your wedding to do list in no time at all. Your guests will love having their own personal fan to move the air around during the wedding ceremony. You will love how easy and inexpensive these DIY wedding fans are to make! Love this and want more DIY wedding ideas? Click here to see our wedding gallery page with all of our wedding tutorials in one place! 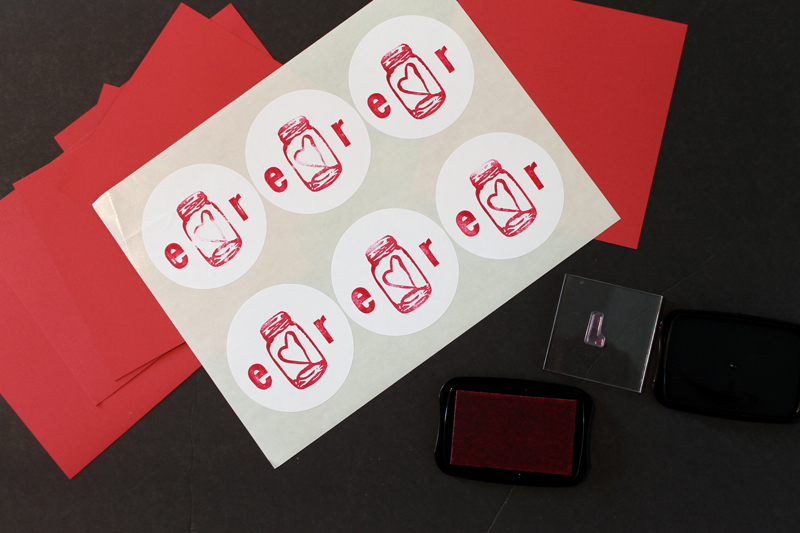 Sign up for our email list to get a FREE book with an entire year of jar crafts! 12 months, 12 crafts, tons of fun! Success! Now check your email to download your book! Click below to follow us on social media! What a great idea. So adorable. They look so professional I would have never guessed how easy they are to make! Great job! Love ideas you’ve shared with us, so helpful. 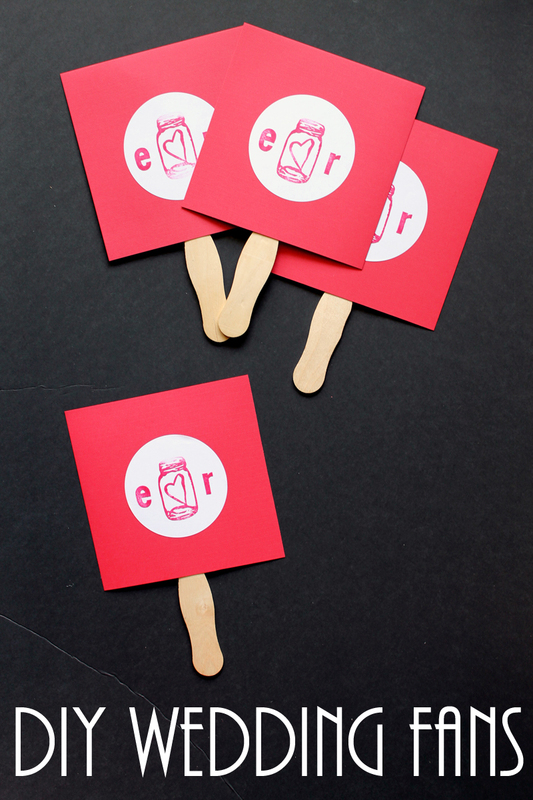 These fans could be adapted for any party, event, love when ideas are so versatile. Do know how hot it can be in Tennessee in July. Used to go down to River Gate in TN often to visit fantastic JoAnns there. Went to event for Country Home magazine one time, phew was it hot and sticky. This was when we lived few miles north of Bowling Green, KY. Summers there were brutal after living in dry climates, even native Kentuckians complained about heat/humidity..
Have a great holiday! And yes I love the Bowling Green area! Thanks for the comment! Super cute and easy to make and yes we could all use these right now!Thanks for linking up to Merry Monday! Sharing on Twitter! Have a great week! Materials used in blog posts may be given to the owner of this blog by various companies. All opinions and projects are that of The Country Chic Cottage. Posts may also contain affiliate links. 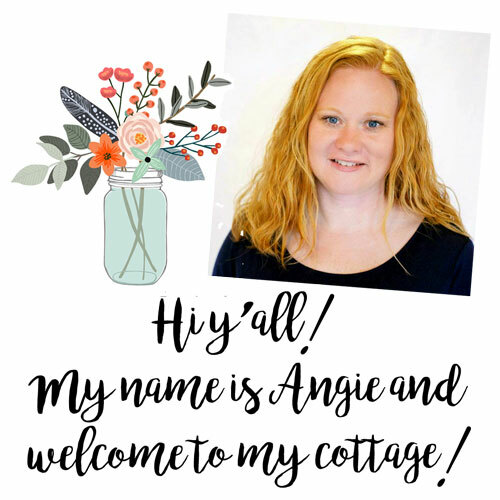 The Country Chic Cottage is a participant in the Amazon Services LLC Associates Program, an affiliate advertising program designed to provide a means for sites to earn advertising fees by advertising and linking to amazon.com.